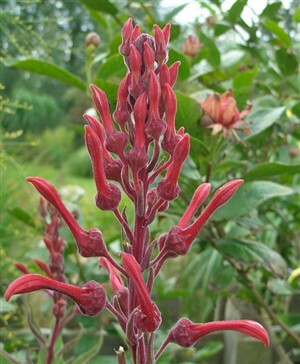 Lobelia tupa Hardy through the winter of 2010: I was surprised too! Large felty sage green leaves and dark red exotic blooms which look like a disdainful flamingo, from July through to Autumn. Sun and a good soil is best. When young cover crowns with old leaves.